I have a question for you; are you looking for a Santa Monica gym or health club in Santa Monica, or are you looking for weight loss and fitness results like these:? plus it has what no other gym has; Mr. America Jason Kozma! The Easton Gym are recognized as leaders in the fitness industry and are constantly rated as “BEST GYMS” in the competitive Southern California area. 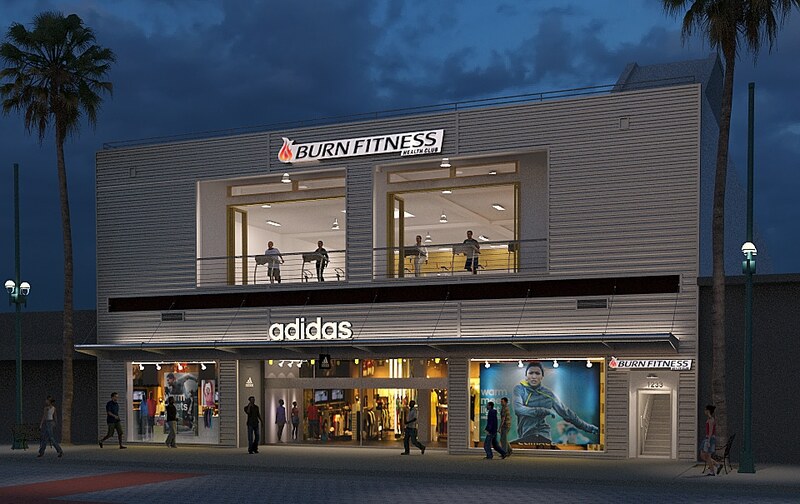 Easton Gym Santa Monica is located on the Third Street Promenade. The gym is on the second floor with sliding glass doors that open completely allowing light, fresh air, and a view of the Promenade. Easton Gym has operated in Hollywood since 1938 and Santa Monica since 1993. It is the longest running fitness gym company on the west coast. Opened by Harvey Easton in 1938, the gym boasted of revolutionary weight lifting equipment designed by Harvey Easton and his friend Jack La Lane. Much of the original designs form the basis of today’s fitness machines. Harvey Easton was a true pioneer in the fitness industry who brought health and fitness to many. Stricken with cancer at a young age, he died in 1962, but his legacy the Easton Gym lives on. In 1976, Richard Grossi, 20, became a member of the Easton Gym. Richard became serious about fitness, often suggesting ideas for improving the gym. Byron Russell, who ran the Gym after Harvey passed away sold Richard the gym in April of 1980. Richard immediately began improving and expanding the gym. He created a clean comfortable and well-maintained atmosphere, with the best and newest equipment, and personal friendly service. The comfortable ambiance, great equipment and fitness programs are why our members love the EASTON GYMS.